In 2015, Georgia experienced the deadliest year ever in regards to the number of fatal automobile accidents on the roadways. However, the state is on pace to set a new record, making this year even worse than last year. The Georgia Department of Transportation reported that 1,262 people have already died this year, which is higher than last year at this time by 63 people. Drivers are constantly looking away from the road – to change the radio station, pick up their coffee, or check their reflection in the mirror. But the above scenario proves that being distracted, even for just a few seconds, can have destructive and potentially devastating results. 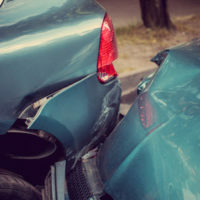 Data shows that 55% of the deadly accidents Georgia has witnessed involve a single car, supporting the claim that they are the results of distracted driving. Texting while driving has recently become one of the most dangerous actions on the road, according to the government website Distraction.gov. By 2014, 169.3 billion texts were sent and received in the U.S. Last year Erie Insurance surveyed drivers and discovered that one-third of those surveyed admitted that they had texted while they were driving, and another three-quarters had witnessed other drivers texting and driving. If these drivers are on the highway, they can be driving at speeds of 55 miles per hour or faster; these faster speeds often result in more disastrous car accidents. All cell phone use – whether handheld or hands-free – for bus drivers. Texting for drivers of all ages. All of these laws are primary laws, which means police officers are allowed to pull over drivers who are violating the laws without having to observe another driving violation taking place. You know how important it is to your safety and the safety of others to drive without distractions. On the road, you pay attention to your surroundings and you put the phone away. But you cannot be accountable for the driving habits of fellow Georgians sharing the road. The truth is, no matter how safe you are, other drivers might not be so careful. And data shows, these distracted drivers are the ones causing much of the deadly incidents on the road. If you are a victim of one of these distracted drivers, you need a steadfast personal injury attorney on your side. The attorneys at Gillette Law, P.A. will relentlessly pursue justice for your case and make sure you are given a chance to prove your case.